Life is a lottery. And lottery winners are a mixed bag. Sometimes it’s that battler from Bundaberg who scoops the jackpot, immediately pays off the mortgages of his mates and buys five identical V8 Holden Commodores. 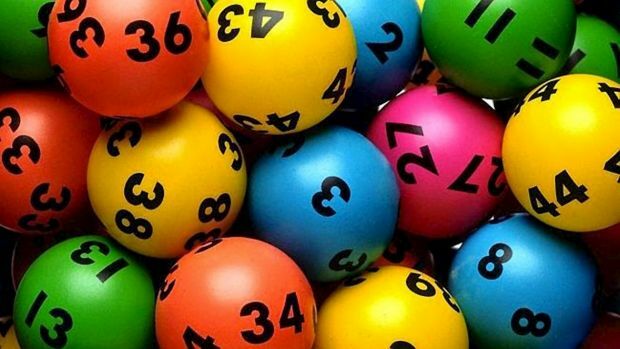 On other occasions, the lottery was won at birth. Sometimes the advantage of parentage is immediate and other times chance and serendipity combine with ancestry to provide windfall opportunities that would ordinarily be deprived to others. There is, of course, nothing insidious about parents seeking to smooth the path for their offspring. Indeed, that’s part of every parent’s obligation. Insofar as life is a gamble, so is investing in the great wind power fraud. Take Babcock & Brown which, having disintegrated in 2009, became Infigen. As an investment ‘prospect’, the Infigen story has been all about bleeding cash. It backed up a $55 million loss in 2011/12 with an $80 million loss in 2012/13 and kept losing money: booking a $9 million loss in 2013/14; and racked up a whopping $304 million loss in 2014/15. In an effort to spin away its losses in 2013/14, Infigen pointed to …. wait for it … the wind – as the reason for a massive drop in revenues (as pitched to wind worshippers, ruin-economy). In the mother of all ironies, Infigen tried to brush off its monumental $304 million loss for 2014/15 by blaming “particularly poor wind conditions” (the pitch again appearing on the pages of that august journal, ruin-economy). Having spectacularly crashed and burned, Babcock and Brown then shamelessly phoenixed into Infigen. In 2015 it was all set to do it all over again: its losses continued to pile up, it continued to bleed cash, its share price continued to head in a general Southerly direction and its mountain of debt looked insurmountable (see our posts here and here). Now, with that track record it would be a very bold punter indeed who would throw their own, or even someone else’s, money at Infigen. 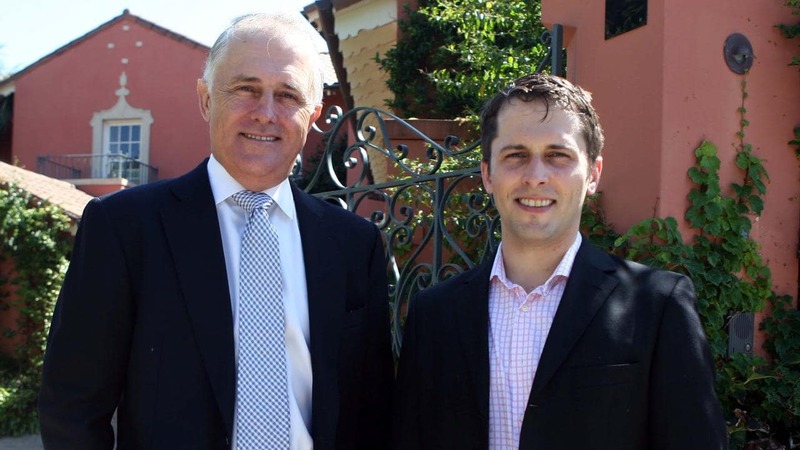 Defying the odds, the Prime Minister’s son, Alex Turnbull did just that. And his timing was impeccable, if not uncanny. Before we give a chronology of a remarkable run of coincidences, we’ll go back in time to March 2016 with this article from the Australian Financial Review. The Turnbull government’s support for the goal of getting about 23.5 per cent of Australia’s electricity from renewable sources by 2020 has sparked a rise in the prices of renewable energy certificates and fresh M&A talk across the sector. Infigen Energy managing director Miles George says that after a “two-year drought” in investment in the sector, interest has surged over the last six months thanks to the changed government rhetoric on the sector under Prime Minister Malcolm Turnbull, which has built confidence around the revised 2020 target for renewables. The revised target of 33,000 gigawatt-hours of renewable energy supply by 2020 was cut from 41 GWh after the lengthy review that concluded last June. Together with Infigen’s improved balance sheet after the $US274 million ($383 million) sale of its US business, the changes have sparked interest from third parties, both in individual projects in the wind energy player’s portfolio, as well as broader corporate interest, Mr George said. “There is nothing of that nature at a level at the moment that requires disclosure, but yes there has been interest expressed by a number of people in Infigen … particularly after the change of Prime Minister,” Mr George said in an interview. 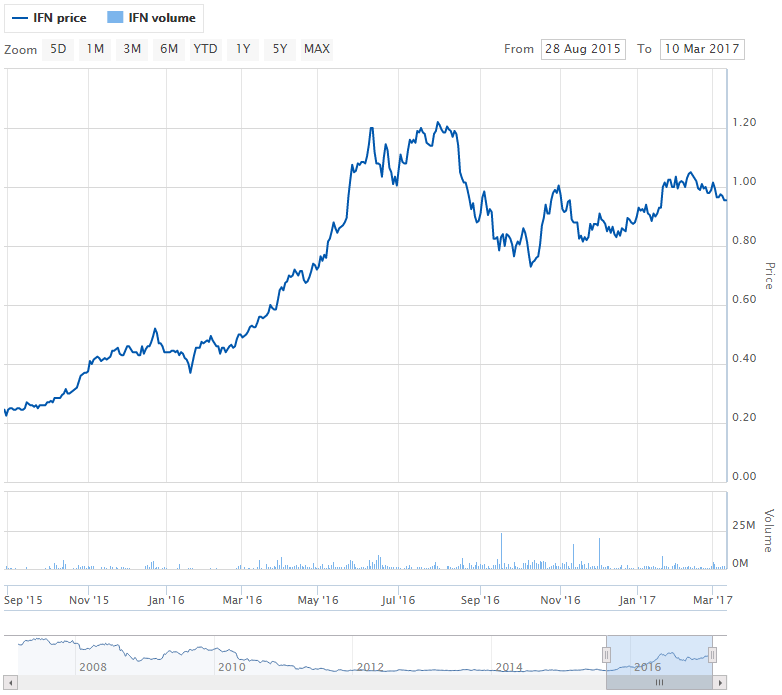 Shares in Infigen, which reached a low of 22¢ last August, have responded, more than doubling since then. Investors in Infigen include Keshik Capital, the Singapore-based hedge fund of Mr Turnbull’s son Alex Turnbull alongside major investor The Children’s Investment Fund Management, which owns about 32 per cent of the company. Heightened M&A interest in the sector was evident from IFM’s sale in December of wind and hydropower player Pacific Hydro to China’s State Power Investment Corporation, said to be worth more than $3 billion, including debt. The deal brought a new, little-known player into the local sector after a hotly contested auction that is understood to have lured interest from players including China’s Huadian Corporation, France’s ENGIE and Spain’s Gas Natural. Meanwhile AGL Energy has launched a $3 billion renewable energy fund to develop at least 1000 megawatts of new projects to which it wants to attract superfunds as partners. Players from other parts of the sector such as pipeline owner APA Group are also looking to grow their exposure to renewables. Prices for large-scale renewable generation certificates or LGCs, which help underpin new renewables projects under the RET legislation, have surged from about $38 a year ago to more than $80, and are set to remain strong, with forward prices of $82 to $85 for the 2016-18 financial years. With wholesale power prices also on the rise, prices are becoming supportive of new projects, while renewed interest on contracting for renewable power is emerging among the big three electricity retailers to meet their obligations under the RET after a few years on the sidelines. “LGC prices have started to move dramatically in the last six months and are now at a level – about $82 – where they should be sufficient to incentivise new builds,” Mr George said. With substantial new renewables capacity of between 5000 and 6000 megawatts needed to meet the 2020 target, industry sources say prices of LGCs should remain strong for the rest of the decade. Mr George said that 12 months ago, the major retailers did not want to even discuss new renewable energy purchasing contracts, while now the debate is around the duration of those contracts, which are likely to be shorter than the 15 or 20-years typical historically. “The contract market, which was dead 12 months ago, is now stirring,” he said, pointing to expressions of interest for renewable capacity called by Alinta Energy, Ergon Energy and Synergy. Many of the world’s successful investors (think Warren Buffett) consider the art of beating the market as one involving gut instinct rather than cool cerebral activity. So what was it that attracted Alex Turnbull to Infigen? Certainly couldn’t have been their balance sheet or cash flow. Running a fleet of clapped-out Suzlon S88s, which are close to the end of their useful economic life, losing $304 million in a single year, blaming its ‘performance’ on a lack of beneficial breezes, burdened with a staggering pile of debt and watching its senior management run to the hills would ordinarily spook any sensible investor. Today Australia joined over 150 countries in signing the Paris Agreement, securing a global agreement to combat climate change. Minister Hunt signed the Paris Agreement in New York. We will begin our process to ratify the Agreement immediately, and will seek to ratify this year. The Paris Agreement is a turning point in the transition to a lower emissions global economy. The Agreement provides for five yearly reviews of national targets, underpinned by a rules based system that will assess whether countries are meeting their commitments. Australia is playing its part to tackle climate change with effective policies to cut emissions by 26 to 28 per cent below 2005 levels by 2030. Australia is a partner to the Mission Innovation initiative and will double investment in clean energy research and development over the next five years. The Turnbull Government’s new $1 billion Clean Energy Innovation Fund will support emerging technologies to make the leap from demonstration to deployment. We are working with a broad range of partners through our $1 billion climate finance commitment, the Asia-Pacific Rainforest Partnership, our International Partnership for Blue Carbon and the Montreal Protocol. The latest estimate from the Department of the Environment confirms that Australia is on track to beat our 2020 target by 78 million tonnes of emissions. This is a 50 million tonne improvement on the last estimate in December last year. The Turnbull Government is also today announcing a further $11 million investment in new projects to improve the health and resilience of the Great Barrier Reef, which will help the Reef to withstand pressures such as the El Niño exacerbated high sea surface temperatures that are causing the current coral bleaching event. No doubt, Alex Turnbull’s mammoth Infigen punt was just a series of very lucky coincidences. Signing the Paris agreement might have sent Infigen’s struggling share price into orbit, but it did not alter its fundamental debt position and weather-dependent cash flow. Infigen’s management was still desperate to dump the company. 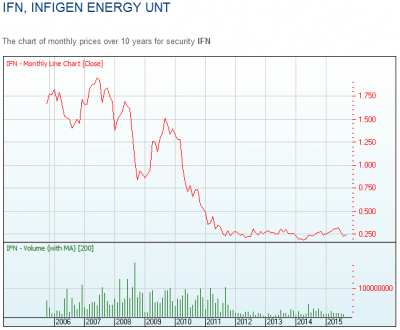 Nearly 12 months on and Infigen is still looking for someone to take over its pile of debt and its worn out fleet of wind turbines; and its share price is on the slide again. Which brings us back to Malcolm Turnbull. Paralysed with inaction, the PM acts as if Australia’s energy debacle will somehow resolve itself. Ranting and raving about the damage that could be done by Labor’s 50% Renewable Energy Target is all very well, but every energy hungry business and now even Australia’s biggest power retailers recognise a clear and present danger in the existing Large-Scale RET, which Turnbull continues to defend. A first-year economics student could point to the market perversion caused by the LRET; and the manner in which it has destroyed Australia’s once reliable and affordable power supply. No sensible commentator on Australia’s brewing energy disaster believes that the LRET is sustainable. And yet, Turnbull continues to drag his feet. Which leaves STT wondering. Is Malcolm Turnbull’s intransigence all about protecting his progeny? Alex Turnbull (right): simply born lucky. As far as I can tell, you don’t say how much Infigen that Alex Turnbull owns and when he bought it. Please advise. You’re right, we don’t. We know that the fund he runs, Keshik Capital invested heavily in late 2015, but can’t provide the numbers of shares or whether it still holds them. We have been trying to get at the past ASX records, without success, so far. We don’t have the limitless resources of the ABC to track every rabbit down every burrow, unfortunately. Is his son now looking at ‘unconventional gas’ – Fracking after all his father is pushing for it and even wants to over-ride the SA Liberal policy, of a moratorium on fracking in the SE of the State. Maybe he is working with Koutiepie as he is also hell bent on destroying the State via the use of ‘renewables’ and fracking – will SA or the Nation survive these onslaughts from self-interested policy makers? Another fine article STT. I tried to point the above facts out a while in post in the OZ online and the Greentard Moderator was having none of it and consigned my factual post to the scrap bin. Another question that has to be asked is how much money the WindWeasels and their Enablers paid to one Michael Photios to aid and abett Turn Bull in his quest to shaft Tony Abbott. Turnbull is a total disgrace and the sooner he is gone the better. Turnbull’s justification for pushing Abbott out was the poor opinion polls before a by election in WA that Andrew Hastie won easily. After the carnage in the West on Saturday MT should do the Honorable thing and fall on his Sword. Keep up the good work STT in the end We Will Prevail! All about protecting (Malcolm Turnbull’s) progeny? Well, there is no other reason that remotely makes sense. What an amazing thing that MT personally calls the Tesla battery man, why not ask an expert to do it and report back – what odds that Turnbull resigns as soon as he fixes a sale for Infigen? The rort gets dirtier every day and the punters just keep on falling for it.